A NEW EXHIBITION looks at Irish emigration to America, bringing to life the everyday stories of people who left Ireland’s shores for new lives in the US. It comes at a time when people are celebrating President John F Kennedy’s visit to Ireland 50 years ago, and the bonds that still exist between the two countries. Your Huddled Masses: The Irish in America opened yesterday at the Little Museum of Dublin. “We’re really excited about this show,” said Simon O’Connor, curator of the Little Museum. It’s a subject we’ve wanted to tackle since opening, and there’s massive interest around the exhibition both here and in the United States. Among the artefacts on view are the lectern President Kennedy used to address the Irish Parliament in 1963, a gold trading card featuring Tom Brady of the New England Patriots, and a dress worn by actress Maureen O’Hara. Speaking to TheJournal.ie, Trevor White, the director of the museum, said that the exhibition is “such a personal story” that “chronicles what emigrants left behind, the challenges and hardships they faced on arrival in the US. It speaks to utterly timeless themes; the search for a better life, the American dream”. I suppose it’s almost like a spiritual longing as well as an economic longing that people have. It doesn’t just look at people who left the country permanently – it also takes in those who visited the US on J1 visas. Among the items are a cap from a person who worked in Dunkin’ Donuts in 1998, a doorman’s cap from a Park Avenue apartment block in New York and dog walker certificates from young people who worked in Boston. Your Huddled Masses uses sound, photography, film and illustrations to chronicle what emigrants left behind, how they travelled, and the life they faced upon arrival. White said that the exhibition – which was put together using public curation – has universal appeal, because every family has experience of someone leaving through emigration. One of twelve children, Michael Gaffney (1903-1981) was born in Cross Keys, County Cavan. When a cousin offered Michael a job at his company, Alpha Cement, in west Philadelphia, Michael borrowed the fare from another cousin and arrived in the United States at the age of 25. Michael was disappointed to discover that his cousin did not remember making the job offer. However, Michael was given a position mixing cement, and soon started sending money back to his family in Ireland. Michael joined the Cavan Catholic, Social, and Beneficial Association in Philadelphia. In 1933, Michael travelled to New York City and joined Clan na Gael, an Irish republican organisation. Through these groups, Michael cultivated friendships with fellow immigrants. Meanwhile Christina (1913-2000) and Catherine ‘Kit’ Fox (1910-1999) were born in Maryrath, County Westmeath. Unable to find jobs after the Civil War, they travelled from Cobh to join five other siblings in the United States in 1929. One of their sisters, Mary, they met for the first time. 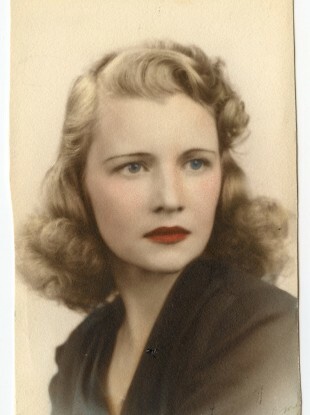 Christina and Kit embraced American culture, taking advantage of services at the beauty parlour, and Kit sent her ‘make-over’ picture home to Westmeath to show her family that she was well. Her mother reacted in horror when she saw that Kit now used hair-dye and red lipstick. In 1939, Christina and Kit partly bought their employer’s business, Violet’s, and became successful businesswomen. Christina met Michael Gaffney through her sister Beatrice. Beatrice’s husband was a friend of Michael’s from Cross Keys. 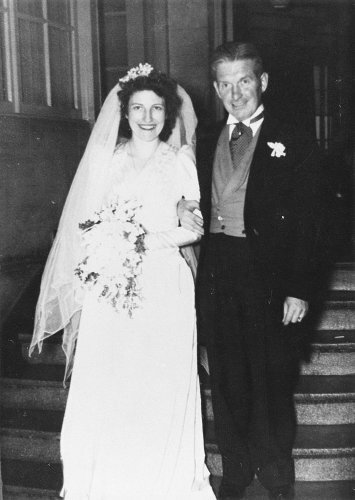 Christina and Michael married on July 5, 1943. The three sisters and their husbands can been seen enjoying drinks in 1945 at Billy Rose’s Diamond Horseshoe at the Paramount Hotel in New York. Michael and Christina raised a son and five daughters in the Bronx. All of their children graduated from college. Email “Exhibition brings Irish emigration stories to life ”. Feedback on “Exhibition brings Irish emigration stories to life ”.